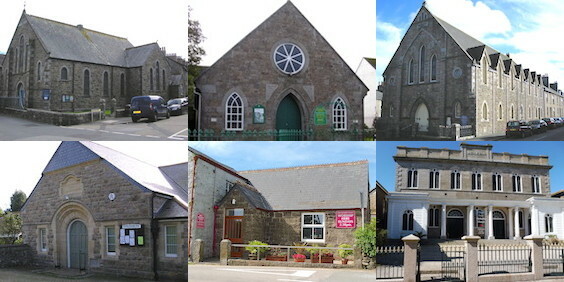 Wesley Rock is a small church in an expanding village just north of Penzance. We have a friendly church family of mainly retired people who offer a warm welcome to all in our recently refurbished building which enables us to worship in comfortable, warm and light surroundings. Our weekly Sunday morning services are mainly traditional. Our team of pastoral visitors maintain contact with all members and regularly visit or telephone those who are housebound. In addition a monthly newsletter is distributed to everyone on the community role. We run a Messy Church on every second Tuesday of the month from 4 -6 pm. This is attended by children from the area and their family members where they enjoy crafts, songs, games and a Bible story followed by a cooked meal. A monthly communion service is held on the third Tuesday of each month, led by Rev Alastair Bolt, followed by coffee and biscuits to which all are welcome. A weekly Coffee Hour is held on Thursdays from 10.15 -11.15am.and we welcome everyone from the community to join us. The indoor short mat bowls club meets every Thursday evening from 7 - 9pm. A cream tea event is held quarterly, with transport provided for those with reduced mobility. Everyone is welcome. Each Good Friday we join with members at the nearby Anglican Mission Church for a morning service. We also work together to run a coffee morning annually for Christian Aid. Cream Tea event will be held on Tuesday 7th May from 3-4 pm. Everyone welcome. Messy Church will be held on Tuesday 14th May from 4-6pm. All children to be accompanied by an adult. Monthly mid-week communion - Tuesday 21st at 10.30am. Followed by coffee & biscuits. 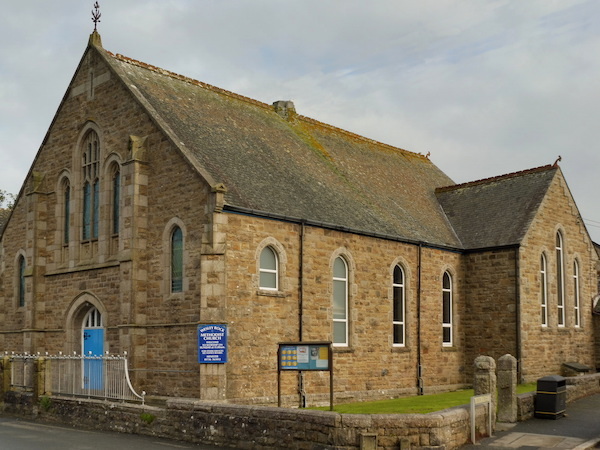 Our church building is on the corner of Rock Terrace (TR18 3JJ) and Main Street (TR18 3ER), Heamoor.